Posted January 11th, 2018 by Sandy Calderbank. I have admired the colorful Wood Duck from pictures …..OTHER people’s pictures….for many years. I have frequented areas that were supposedly replete with Wood Ducks and have NEVER seen one. 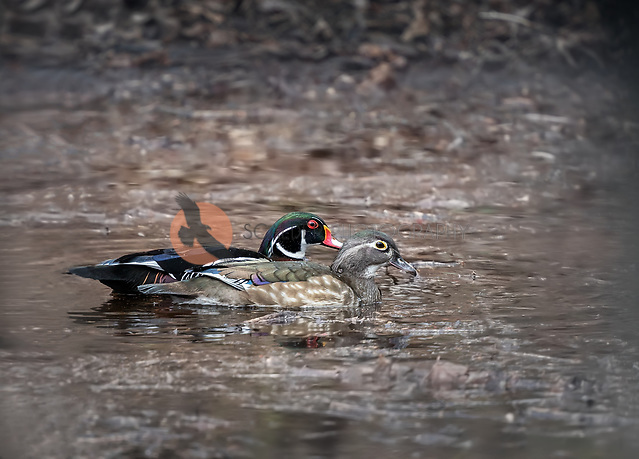 Last spring I was driving around Bombay Hook National Wildlife Refuge and out of the corner of my eye, way back in the dark marshy woods, I saw a pair of Wood Ducks. Of course when I stopped to try and photograph the pair of Wood Ducks, they immediately flew away. I trudged through the marshy swamp trying to find them without success. Over the next few days I went back to that same spot multiple times and waited and waited and waited and finally was rewarded with some images of Wood Ducks. They seem to frequent dark areas that are very difficult to photograph and are very shy. 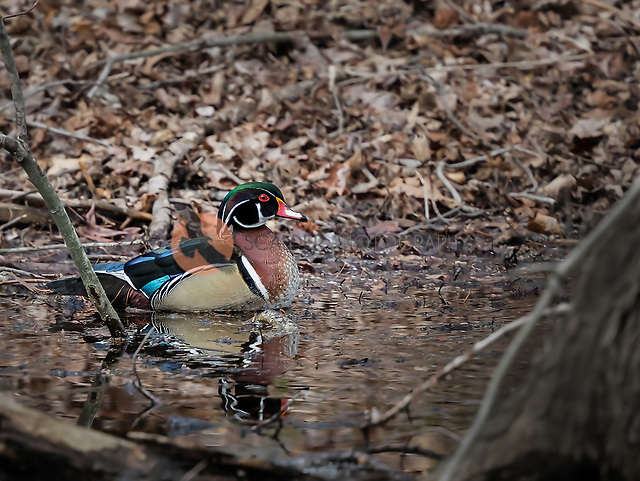 The Wood Duck is one of the most stunningly beautiful birds ever created and I feel fortunate to finally have seen and photographed these colorful waterfowl.